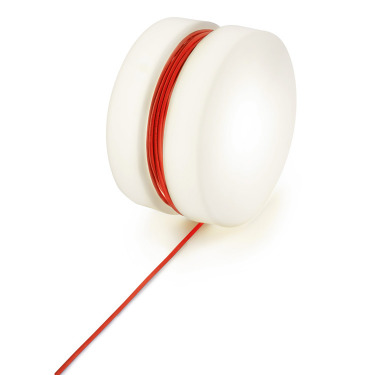 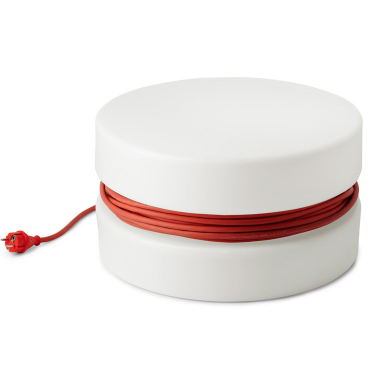 This creative Yoyo Floor Lamp always has its extension cord with it, wrapped around a spool consisting of translucent plastic, which gives this indoor/outdoor light its resemblance to a yo-yo. 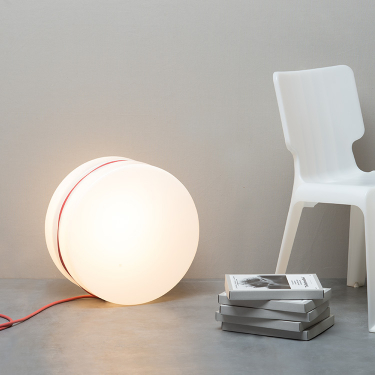 The Yoyo floor lamp is always in the right place where electricity sources are hard to find. 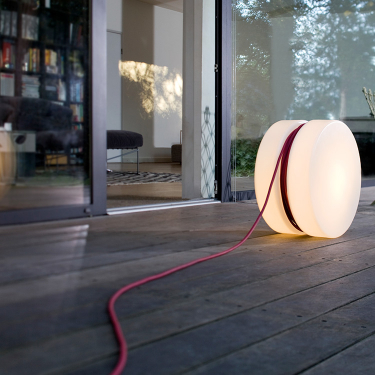 With its 16 m long cable, you can roll the light where it is needed the most at that moment. 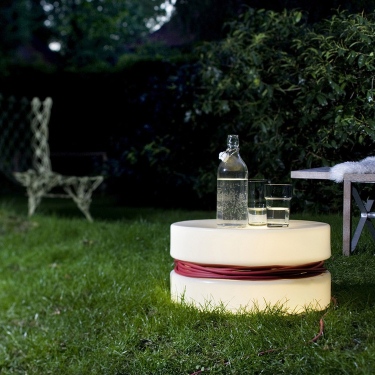 Use it as a light for the garden or as a funky object with fun flair for your bedroom or living area.